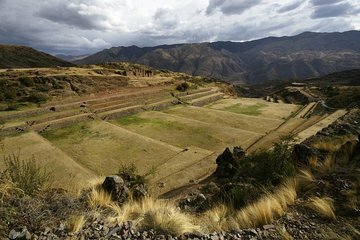 Depart Cusco for a half-day tour to the nearby southern valley, where you'll explore some of the area's most culturally and historically significiant locations. Arrive via air-conditioned bus to Tipon, a famous archeological site known for its impressive terraces and canals. Later, marvel at the stunning murals in Huaro's centuries-old church, and peruse the Museum of Sacred Stones—filled with ancient artifacts used for a variety of different purposes. Good tour except we should get credit as the guide told us there is no museum of sacred stones tour even though the tour title name suggests it and tour description says so. Victor needs to give a credit I believe and not in the form of a future tour as we are leaving the area. Also guide should wait until all the group is at his stopping point before starting his various presentations. He should use the mike in the bus as well or ask the group to move to the front seats.